Inga DeCarlo Fung Marchand was born on 6 September 1978, in Brooklyn, New York City USA; she is of Afro-Trinidadian, Indo-Trinidadian and Chinese-Trinidadian descent, and as Foxy Brown she is best known for her dynamic solo rap performances during a career now spanning 20 years. So just how rich is Foxy Brown? Foxy has become one of the leading female lights in rap culture, for more reasons than one, with an estimated net worth of $18 million, which she has accumulated from her career as a rapper, a model and an actress beginning back in the mid-1990s. Foxy’s father was involved in the music industry, but left the family to pursue his career in the entertainment business. While still in her teenage years, Foxy Brown grabbed everyone’s attention by performing rap solos at talent contests in Brooklyn, New York. Her professional career began when she started collaborating with such big names like LL Cool J and Lil’ Kim.In 1996 the rapper released her debut album “I II Na Na”. The album received mixed reviews but was highly successful sales-wise as over 109,000 copies were sold in the first week. The album included voices of such influential artists like Jay-Z, Method Man, Blackstreet, and Kid Capri. Three years later, her second album “Chyna Doll” reached the stores and in 2001 followed the third one, entitled “Broken Silence”. Once again, the albums became big hits and added a lot to her net worth, plus increasing Foxy Brown’s worldwide popularity. Between the second and the third albums, Foxy Brown, Nas, AZ, and Nature formed a group called “The Firm”, and released an album of the same name in 1997. It was, however, the first and the last album of the super-band. In 2003 she decided to leave Def Jam Recordings, which resulted in cancelling the release of “Ill Na Na 2”. Two years later the singer and the record label started working together again. After singing to Koch Records in 2007, “Brooklyn’s Don Diva” saw the light of the day, despite many obstacles. Foxy Brown is known not only for her talents as a rapper, but also for her controversial personality. She has been arrested many times for driving without a license, attacking a policeman, assaulting a store employee, using obscene language on stage, violating order of protection and many more incidents. In 2007 the hip-hop diva was sentenced to do jail time for violating her probation back from 2004, when she assaulted two manicurists; she was released from jail in 2008. 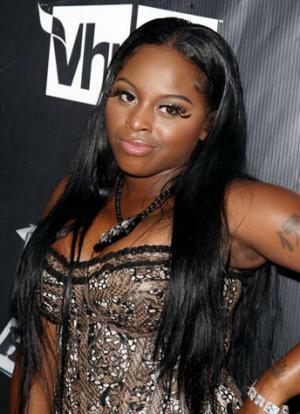 Foxy Brown is one of the biggest hotheads in the entertainment industry, and her feuds with other singers and celebrities are all over the tabloids on an almost daily basis. Despite being rich and famous, Foxy Brown has a long history of dealing with psychological problems as one can imagine from the foregoing; she was even forced to take anger management courses. In addition, she began suffering hearing loss in 2005 which made her take a break from her singing career. However, with four studio albums and a personality that guarantees that she is always in the spotlight, Foxy Brown remains one of the most influential hip-hop artists of all time. Despite personal struggles, she has managed to build a career from scratch and make it to the top. In her less-than-private personal life, Foxy has never married, but has been associated with several celebrities, including supposedly becoming engaged to rapper Rick Ross; Ross denied being engaged to anyone.